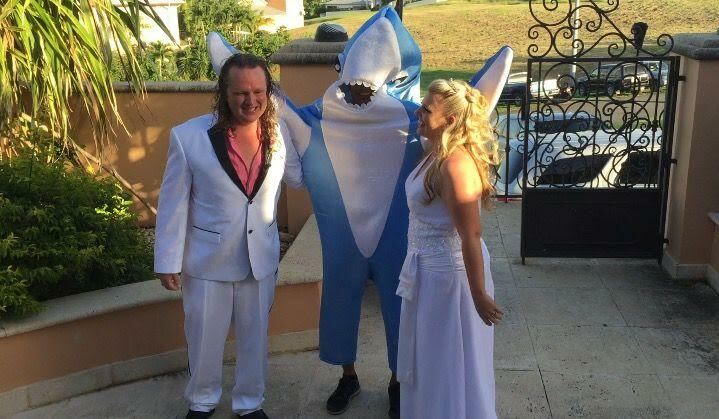 Jamalee Jenkins and Mat Henning meeting the groom’s specially requested shark at their destination wedding. Many grooms don’t ask for much when we’re planning the wedding. But when they do express their opinion, it should always be taken into consideration and included, if it’s possible. And let’s face it, almost anything is possible. Sandy shares a story about how she fulfilled the unique wedding requests from a recent groom. The Shark Video– This is a video that actually shows their grand entrance with the shark! But, keep listening to my podcast! How we hooked the shark is a great story!